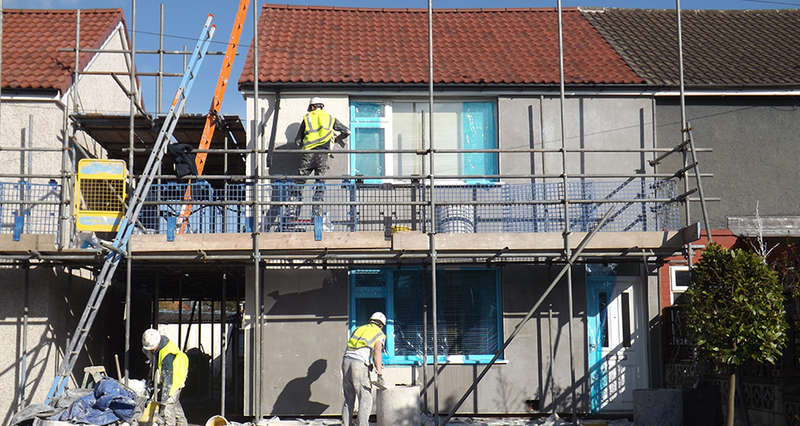 In December 2014, Sustainable Building Services won a place on a four year solid wall insulation framework managed by Efficiency East Midlands (EEM). 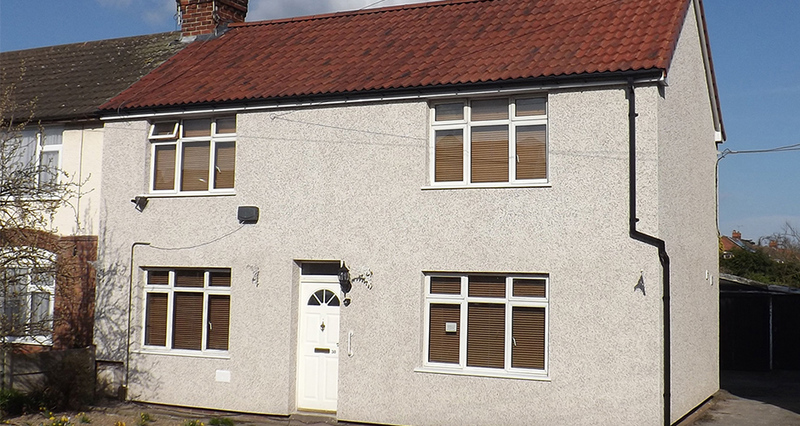 In 2015, working to this framework, SBS was commissioned to install external wall insulation to 31 properties in the Whitwell district of Bolsover. The scheme was scheduled to be completed over a period of nine weeks, finishing in September 2015, but there was potential to extend it further. The first phase would entail installing external wall insulation and weatherproof decorative render to 21 houses and 10 bungalows. These comprised a mix of hard to treat properties with cavities, and houses with a solid wall construction. The chosen systems included 90mm EPS insulation board and 60mm phenolic, covered with a spar dash finish. Sustainable Building Services won the contract on the basis of best value, quality assurance and its commitment to ensuring that its work would deliver important social benefits. With the benefit of local knowledge and the support of locally appointed tenant liaison officers, Sustainable Building Services made excellent progress, completing the initial phase on budget and well ahead of schedule. Strict quality assurance measures ensured that all systems were installed precisely to the specification, and a team-wide commitment to cost control and efficiency delivered significant savings to the client. On the strength of its performance in the initial phase, SBS was then awarded a second phase by Bolsover District Council. 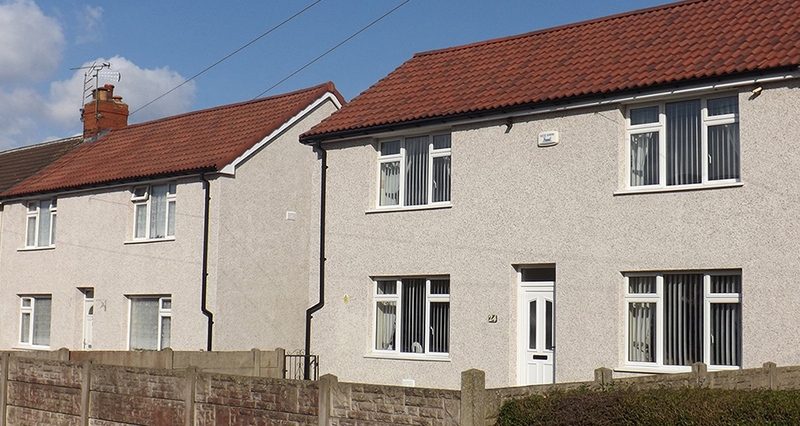 This involved the installation of solid wall insulation to 58 properties in Clowne and Stanfree. Of these, 12 were bungalows. These were all treated using 90mm and 110mm EPS, followed by a dash finish. 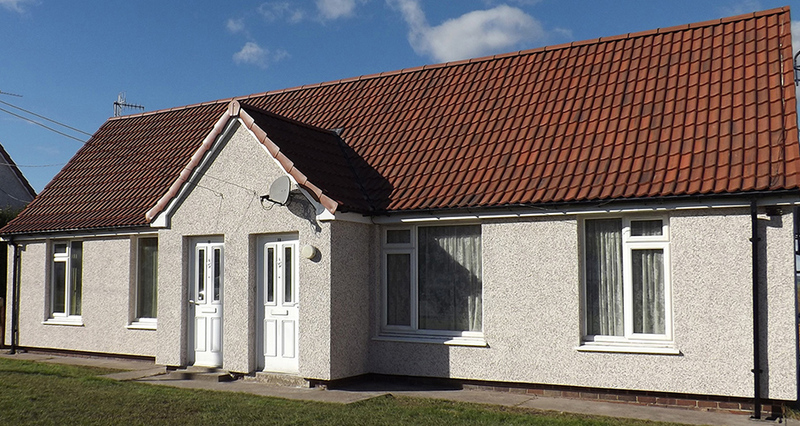 Additional works included the installation of new roofs, soffits and fascias. The client had not previously commissioned both roofing and EWI works at the same time on the same properties but, in the event, this produced substantial savings on scaffolding costs. It also helped SBS to achieve another swift completion. The project ran for 15 weeks, from January to April 2016. Building on the excellent working relationships established in the first two phases, Bolsover District Council then commissioned SBS to undertake a third phase, which began in November 2016 and was scheduled to last six months. 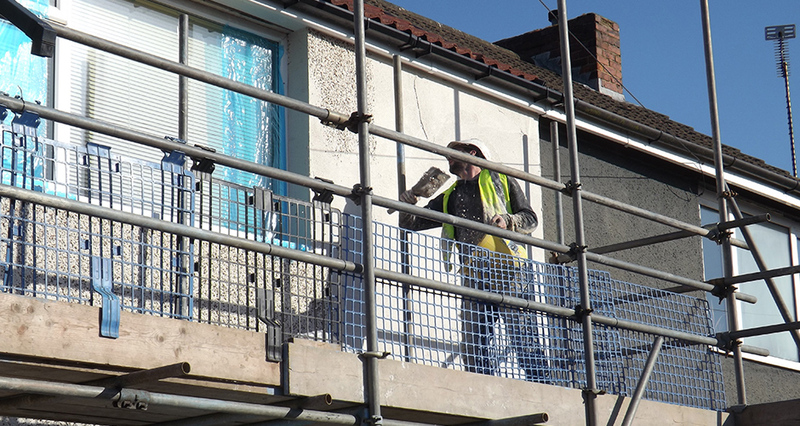 Work involved the treatment of 60 hard to treat properties in South Normanton and Shirebrook. The properties, insulation systems and methodologies were essentially identical to those of phase 2. Pete Smith, Managing Director of Efficiency East Midlands said: “We are delighted that we are able to work with Sustainable Building Services and that through our EWI Frameworks we are able to supply high quality services that offer value for money. 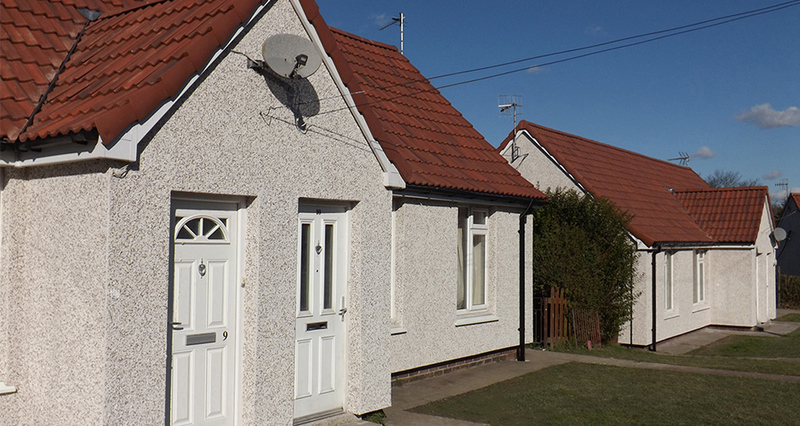 The programme across Bolsover has seen many homes benefiting from external wall insulation, enabling us to improve quality of living and cut energy consumption and fuel costs." "The relationship with SBS has been very productive. They've approached every phase with a real commitment to achieving the highest quality standards. Work has always been completed on time or ahead of schedule, and project reporting has been first class; we've been kept fully informed of progress at every stage. 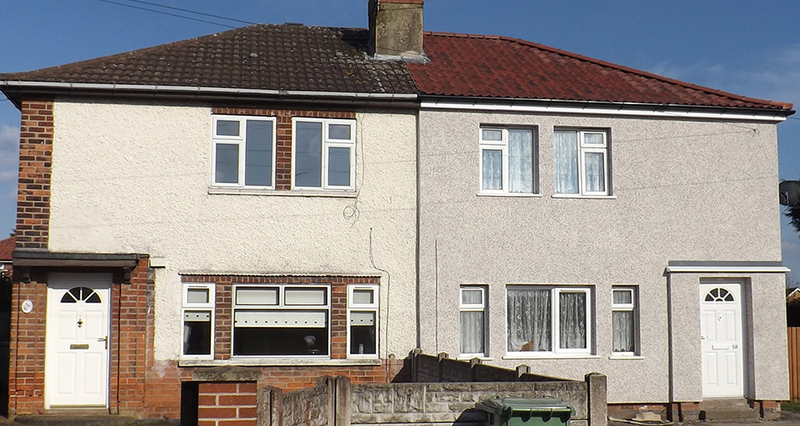 Cost-control has also been excellent, and efficiency savings have been an important factor in being able to extend the solid wall insulation programme to so many local residents."